When you are a busy mum, finding time to visit a salon for some much-needed pampering is no easy task. Precious me-time is often taken up ferrying children to clubs and parties or looking after little ones. Whiling away some relaxing hours in a salon often isn't an option. The perfect solution for busy mums in need of pampering is a mobile beauty salon like Beautivision. Run by fully qualifed beauty and massage therapist Rebecca Amlani,�Beautivision�offers�beauty treatments like manicures, pedicures, waxing, facials, threading and massage in the comfort of your own home, making it the ideal solution for busy mums. Rebecca, a member of the Guild of Professional Beauty Therapists with a full range of diplomas in beauty and massage, started Beautivision in 2008. She and her team offer beauty and massage treatments either from her home-salon in Frimley, Surrey, or in the comfort of your own home. "We always ensure each treatment is tailor-made for our client's individual requirements," explains Rebecca. 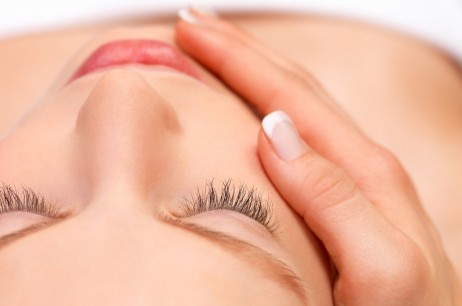 "Whether it’s a 15 minute eyebrow shape or a 90 minute de-stress massage. The team are friendly, professional and responsive and do their utmost to relax you and help you get the most out of your treatment." Beautivision are offering Local Mums these amazing offers: A Paraffin Wax Deluxe Manicure or Pedicure for �25 (free nail polish with every booking) and a Gel Nails Special: Have two sets and get the third FREE!